Darren Espanto to reveal his ‘other side’ in his upcoming digital concert. D Total Performer Darren Espanto does not see anything wrong with the fact that he is doing a digital concert with ABS-CBN music hub One Music PH just months after his KIA Theater show. The show called The Other Side of Darren would showcase his unseen musical prowess by taking on a number of songs that he hasn’t done yet. Concert director Alco Guerrero happily revealed that tickets for the show were sold out just two hours after it was released. Among the songs planned for the concert are Meat Loaf’s “I’d Do Anything for Love” and some classic Filipino songs. “Noong nakita ‘yung Ate Yeng [Constantino] sabi ko gusto ko rin ma-try sana,” said Darren about his “more intimate” and “more interactive” show that is happening on Sunday, October 30. “Siguro more relaxed tsaka ‘yun nga, it’s a more intimate venue,” he added. Director Alco shared that Darren will also have an acoustic segment. 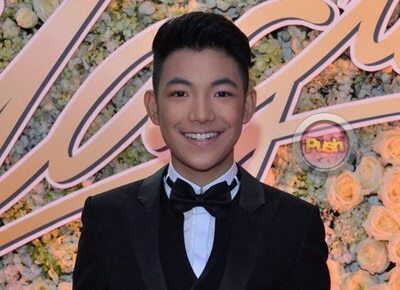 Darren’s lone guest is singer Morissette Amon. While many fans are happy that their idol is staging a new concert just a few months from his last one, there are those who are questioning why he agreed to doing a digital concert when he can fill up bigger venues. The multi-awarded young performer stressed that he has long wanted to be able to perform on a more “chill” venue. Instead of looking at the upcoming show as a “demotion,” Darren hopes that some would see it as a new undertaking for him. Catch Darren’s first-ever digital concert titled The Other Side of Darren on October 30 at 5 pm by logging on to www.onemusic.ph.